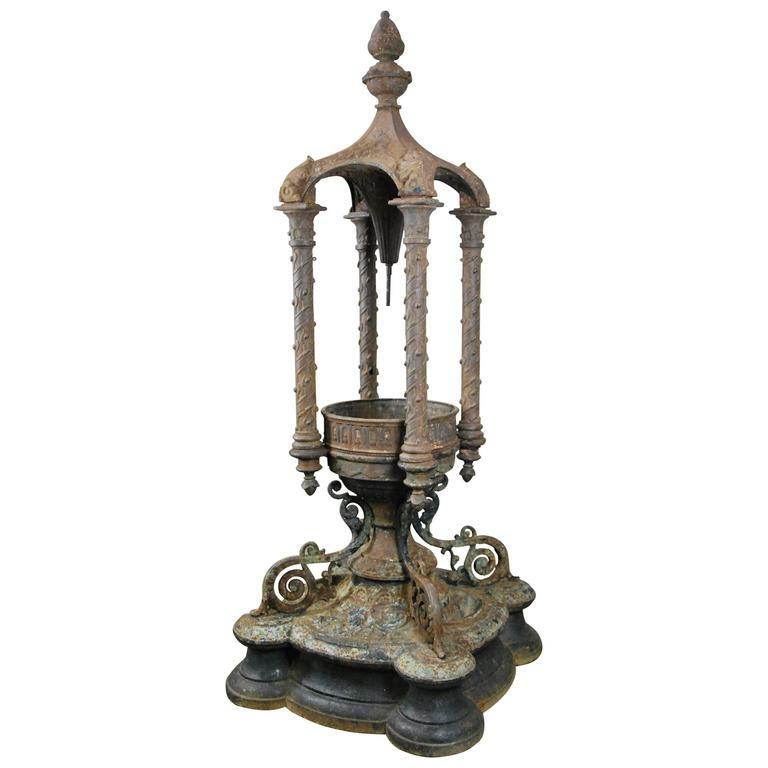 An intricate cast iron fountain, in multiple pieces, designed and built in the 1880s by J.L Mott Co. of New York City. This historic piece of Victorian-era Americana was found in Pittsburgh, where it had been in storage since 1960. The signed piece includes characteristic J.L. Mott details such as sculpted basins at the base (for your pets to drink water from). At the Centennial Exposition in Philadelphia, 1876, an elaborate cast iron fountain, 25- feet tall, was exhibited by J.L. Mott. 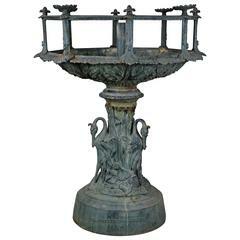 According to the exposition review, Gems of the Centennial Exposition, all the modeling of architectural forms, basins, and figures was completed by artisans of the company. Composed with pieces from the 19th century and a very nice iron sink from France. Beautiful sandstone fountain to place in the garden.